The 2016 NFL season began with a defensive battle between the Denver Broncos and Carolina Panthers, but the opener isn’t an indication of what’s to come. Only six teams failed to average at least 20 points per game last year, as compared to 17 teams just a decade earlier, and the trend of offenses scoring more and more points should continue this season. Cam Newton won the MVP award last year, and another quarterback will likely do so again in 2016. But there’s a handful of wide receivers, running backs, and even a tight end that could compete for the award. Here’s a look at the top five offensive playmakers entering the 2016 NFL season. There is no greater weapon in the NFL than Gronkowski. Standing at 6’6 and 265 pounds with the athleticism of a wide receiver, the tight end is nearly impossible to cover. He’s too big for safeties and cornerbacks, but too fast for opposing linebackers. Gronkowski has battled injuries throughout his career, but when he’s on the field, he’s the greatest tight end of all time. He’s a lock for well over 1,000 yards if he plays close to a full season, and he’s averaging 13 touchdowns for every 16 games in his career, making him the league’s No.1 threat in the end zone. No offensive player—not even a quarterback—has been as consistent as Brown over the past three years. The wide out caught 110 passes for 1,499 yards in 2013, and his numbers have improved each season. Brown nearly set a record when he recorded 136 receptions for 1,834 yards last year, and he has 31 touchdowns during his remarkable three-year stint. Brown has been so good that it’s not out of the question for him to have the NFL’s first ever 2,000-yard receiving season. Ben Roethlisberger’s top target has been terrific in the playoffs, as well. Playing in one postseason game in each of the last two seasons, he's totaled 16 receptions for 236 yards, facing top defenses in both contests. 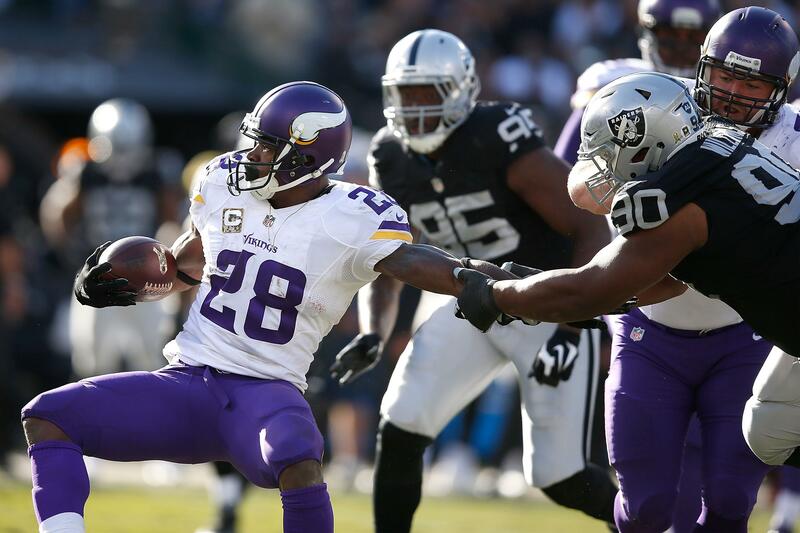 Prognosticators keep waiting for Peterson to finally relinquish his spot as the NFL’s top running back, but the former MVP continues to outperform everyone at the position. He led the NFL with 1,485 rushing yards last year at 30 years old, and he’s shown no signs of slowing down. It was just four years ago that Peterson was named the league MVP when he ran for 2,097 yards and 12 touchdowns, leading the Vikings to the playoffs with Christian Ponder as the team’s starting quarterback. Peterson is the only running back that’s been able to have that kind of impact on a team’s success during an era in which the passing game is so important, and he should have another big year, even though Minnesota has a mediocre signal caller. Beckham is only 23 years old, but he established himself as one of the league’s elite receivers just a few games into his NFL career. He caught the nation’s attention in his seventh game by making maybe the most remarkable catch in history, and he quickly proved that he’s more than just flash. 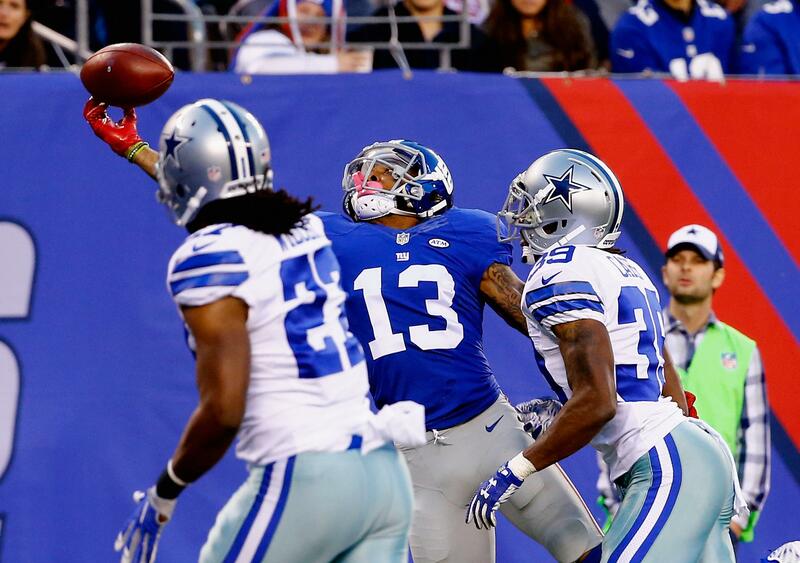 Beckham ended his rookie campaign with 60 catches for 842 yards and 9 scores in the final six games. Eli Manning’s favorite target was third in the NFL in yards per game last season, and he’s totaled more receiving yards in his first two seasons than anyone in league history. Beckham set a Giants’ record in 2015 with six straight 100-yard receiving games. As good as Brown and Beckham are, some might argue that Jones is the best wide receiver in the NFL. 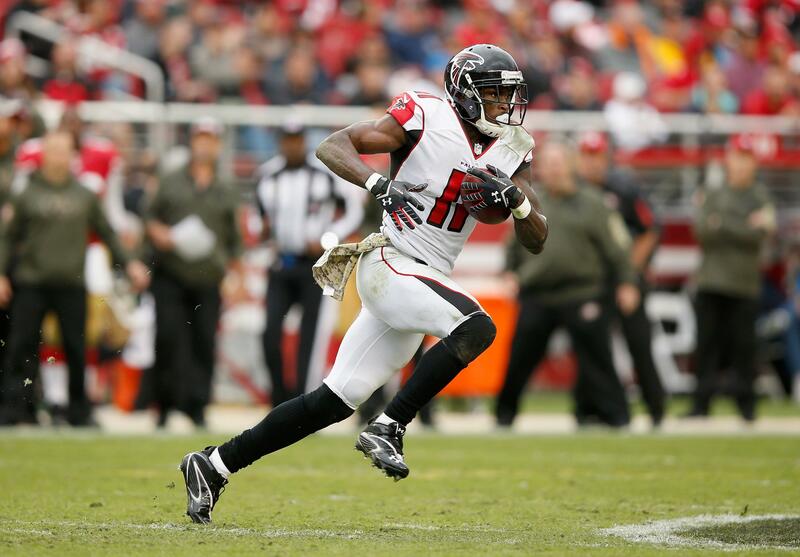 He was the league’s top receiver in 2015, tying Brown with 136 receptions and leading the NFL with 1,871 yards, a mark that ranks second all-time for a single season. 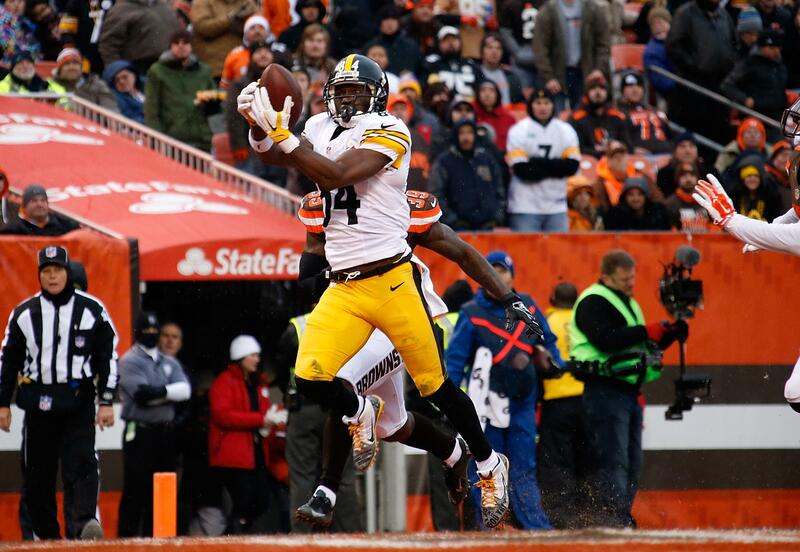 Jones has only scored 10 touchdowns twice, and he’s played 16 games just two times in his five-year career. But when he’s healthy, he’s as good as they come, averaging 113 yards per game over his last 35 games.